Available as low as $28.99 per oz over spot! 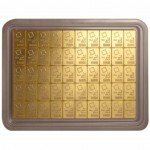 This Credit Suisse Gold bar is part of our gold bullion line and would make an ideal purchase for any collector or investor. ‘Credit Suisse’, the bank responsible for minting the bar, has its name engraved into the top of the bullion. It sits just above the labels which indicate the material and weight of the piece. This particular piece of gold bullion weighs in at one troy ounce and is made from .9999 (24k) fine gold. Minted by Credit Suisse in Switzerland. Features a simple design on the obverse of the bar. Comes with a Credit Suisse Certificate. The words embossed just below them are “Essayeur Foundeur” which translates roughly to mean “Assayer Founder.” These words indicate that the bullion was minted in Switzerland, at one of four major foundries. The mark next those words indicates the specific foundry at which the bullion was forged. In this case, CH tells us that the gold was forged at Cendres & Métaux SA. At the very bottom of the piece is the serial number, which lets the gold be tracked and authenticated should the need ever arise. The Credit Suisse Group is one of the worlds most highly respected financial institutions so you can be sure when purchasing their gold bullion you are receiving a high quality product. All items we sell are sourced from reputable suppliers and are professionally authenticated in order to protect you from fakes and frauds. 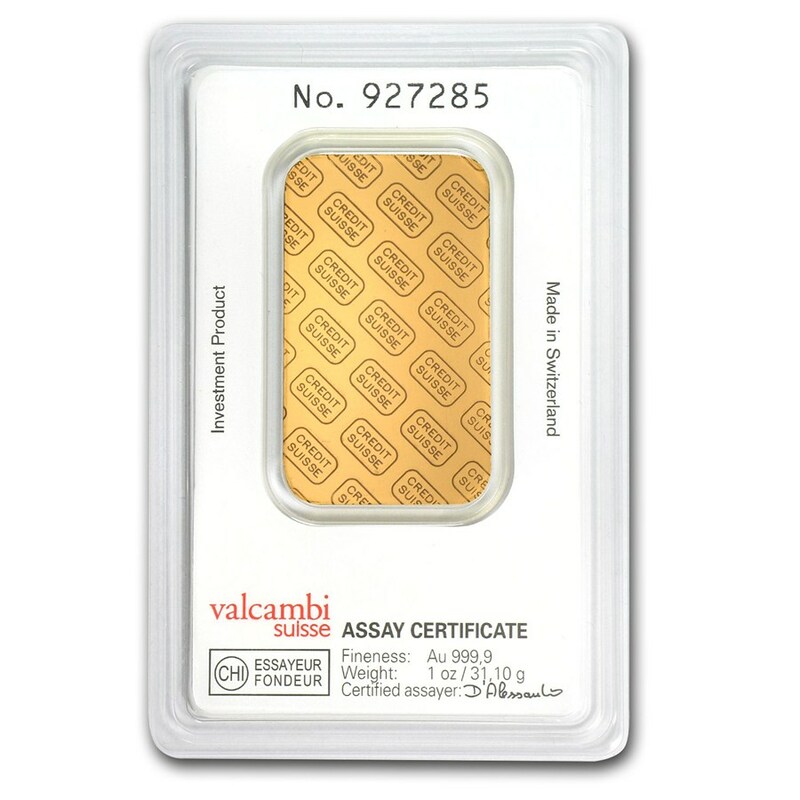 All of the Credit Suisse gold bullion we sell is brand new, and as such comes in its original packing encased in its assay card. 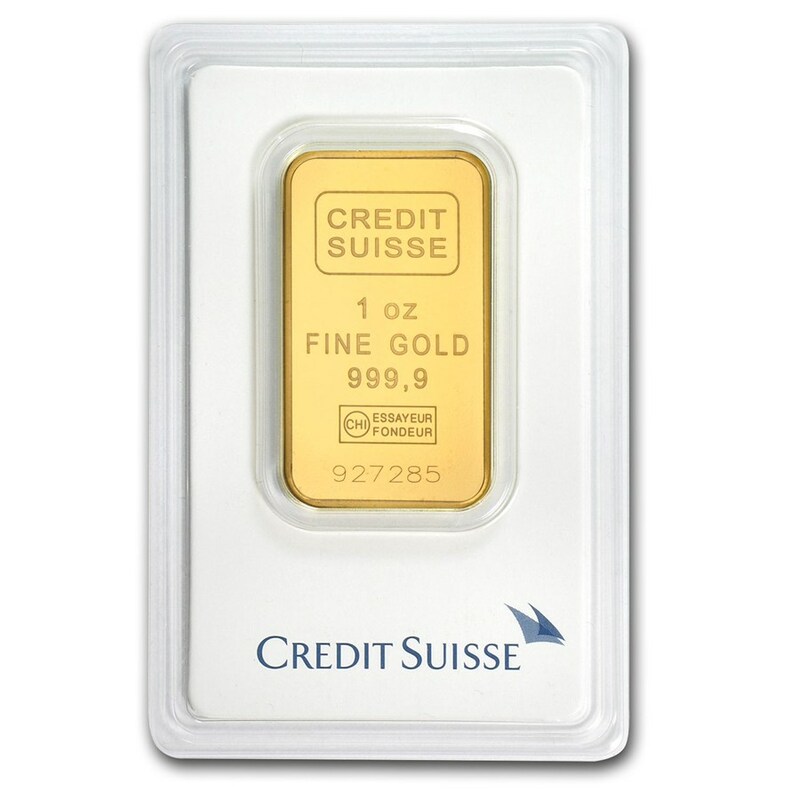 For any questions regarding the 1 oz Credit Suisse .9999 Gold Bar, we ask that you call us at 888-989-7223. You can also go to our website and use the live chat feature where you can speak directly to one of our representatives. We look forward to addressing any precious metal related questions you may have.